On Monday, April 24, Dig-It! Games launched the 5th Grade Challenge App to commemorate the Montgomery County Public Schools (MCPS) Educational Foundation’s 5th annual production of an innovative fundraiser. But more importantly, we were joined in the lobby of the AFI Silver Theater by a host of 8th graders who were showcasing their versions of the app and websites. “Are You Up to the 5th Grade Challenge?” is an engaging game show that welcomes community leaders to test their wits against the challenging 5th grade curriculum of MCPS in order to raise money for programing in the district’s elementary schools. The unique spin of this format is that there are about twenty 5th graders representing a number of MCPS elementary schools on stage to help steer the contestant to the right answer. Yolanda Pruitt, Executive Director of the MCPSEF, wanted to commemorate the 5th year of this unique event and she had a vision for students and families to take this game-show home via a mobile app. Pruitt secured the funding from the Howard Hughes Medical Institute but her next step was to find a local game developer to make it happen. That is where Dig-It! Games came in! But she had one additional request and which was to include students in the building of the game. We were up to the challenge! Dig-It! 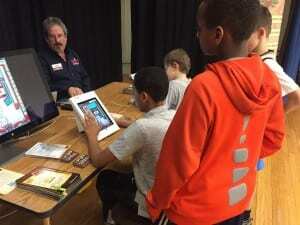 Games teamed up with Argyle Middle School for Digital Design and Development to engage 8th graders in this project. We have always interfaced with students through studio visits, playtesting and career day conversations but this was the first opportunity our studio has had in making a game with students! Argyle is a unique magnet program that was the perfect fit. Eighth graders study Game Design, Web Design, Digital Coding, Digital Art and Video Production and we have managed to incorporate each class in the creation of this project! Our education team took the lead in coordinating the project but everyone in the studio has been involved. Our developers visited with Game Design classes to engage students with the design specifications and run through a paper prototypes. Our artists visited Digital Art classes to coach students through the design and production of art for the many of the questions in the app. Video Production students filmed every time Dig-It! visited classes and they are producing a recap video of the whole project. Finally, Web Design students made websites to host the app and tell the story of how the app was made. We have engaged students in all aspects of the mobile game’s development but the most fun has been sitting down with students to actually play the game and see t heir eyes light up when they see their own artwork and ideas present in the game-play! Building this mobile game was a challenge but with some help of innovative 8th graders at Argyle we were up to it! April is the perfect time to ask all of these questions—and get answers! It’s Archaeology Month in Dig-It’s home state of Maryland, and we’re getting ready for a statewide celebration of our rich archeological heritage. There are plenty of opportunities for the public to take part in hands-on, educational, and—most importantly—fun events to learn more about archaeology as a whole, and what it means to our state. From the first settlement in Maryland at St. Mary’s City to Civil War sites like Lafayette Square in Baltimore City, to the Chesapeake Bay region’s earliest Native American human settlements, our state has a rich tradition of history to celebrate. So why is archeology so appealing? And what makes it such a powerful teaching tool? The Society for American Archeology (SAA) says on their website that “it captures our imagination, encourages our curiosity, and stimulates our sense of wonder. 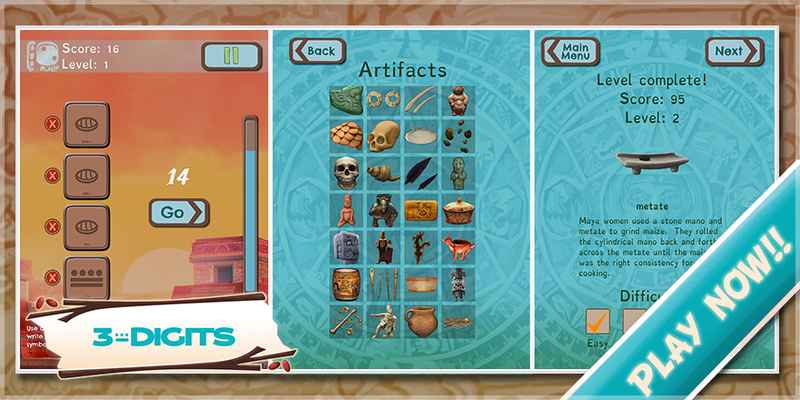 It is a great teaching tool that excites and motivates students, and it’s fun!” It’s tempting to think archeology belongs only in history class, but in reality it enriches all areas of study—language arts, social studies, science, even math! And it’s rewarding to more than just students. Maryland’s archaeology month has something for all ages, from academic lectures to family fun days. 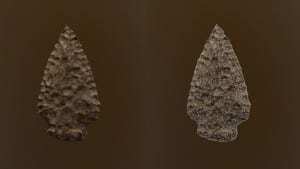 Here are a few ideas for how to celebrate Archaeology Month in Maryland. • Discovering Archaeology Day at the Jefferson Patterson Park & Museum invites families to spend the day on April 16 exploring on-site exhibits, learning from experts, and identify personal artifacts. • Historic St. Mary’s City hosts a Maryland Archaeology Month Lecture, “A Brief History of Historical Archaeology in Maryland’s First Capital,” on April 21. • Create your own event! Find and visit archaeological sites and programs all over the state through resources like The Council for Maryland Archeology and The Archaeological Society of Maryland. • Visit Josiah Henson Park in Bethesda, Maryland featured by our friends at Archaeology in the Community and learn more about their local efforts. • Venture out of Maryland and into the ancient world of the Romans and the Mayans with Dig-It’s archaeology games. • Not from Maryland? Visit the Society for American Archaeology to find out when archaeology month happens in your state. Dig-It is celebrating by traveling to this year’s annual SAA conference in Orlando, where we will be unveiling a new early-American archeology game. We can’t wait to spend time with the archeology community, advancing our knowledge and sharing our work. Until then, you can get a sneak peak in our video trailer below. 3 Cheers for STEM Night! You’ve probably heard the acronym STEM used more and more lately in relation to education. You probably also know that it stands for Science, Technology, Engineering, and Math. But what do those subject areas really mean for education? Why are they important? How do they help kids learn and grow, in and out of the classroom? A few years ago, Education Week published an article online stating that “STEM is more than just a grouping of subject areas. It is a movement to develop the deep mathematical and scientific underpinnings students need to be competitive in the 21st-century workforce.” That’s also what President Obama said in 2010 when he set a clear goal for STEM education: motivate and inspire American students to excel in STEM subjects so that within the next decade, they will no longer be in the middle of the pack for STEM achievement but leaders of a competitive global community. A school STEM Night is a great way to include families, educators, and the community in supporting students’ ability to do just that. On Tuesday, March 22nd, Bethesda Elementary students in grades K-5 get a chance to display their STEM projects at the annual STEM Night celebration. 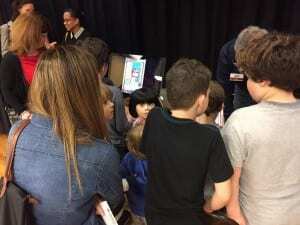 With the help of teachers and parents, students chose topics they were interested in learning more about. They applied the scientific method to a hands-on investigation that produced results. They worked individually and in teams to build creative displays that will communicate their discoveries to the STEM night audience. STEM education is close to our hearts at Dig-It Games. We’re a company that uses technology to produce video games that teach and support these vital subjects. We are deeply invested in the national dialog on STEM, and we believe in the power of game-based learning to promote STEM education in schools and new and fun ways. 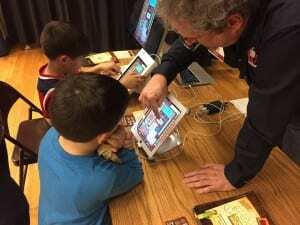 We loved being a part of Bethesda Elementary’s STEM night last year. Dig-It staff members Dayle and Steve ran our exhibit table as well as checking out and admiring students’ STEM-related projects and getting a chance to interact with parents, educators, and especially kids. Their favorite part of the night was seeing how excited students were to play, and meeting parents who were just as excited as the kids! Some kids ditched their parents for the games right away, some kids didn’t want to let go of the games, and some kids competed with their parents! In fact, there was so much interest that we ran out of devices for visitors to play on. This year, we’re honored to be invited back again, along with C3 Cyber Club, KID Museum, Under the Sea‘s mobile aquarium, and Montgomery County Public Library. We’re bringing more devices and more DIG folks. We will also be exhibiting some of our unreleased titles before they are seen by the general public. Students can comment and give feedback on a game-in-progress, which is known in the industry as beta testing, an essential part of product development. This little bit of behind-the-scenes insight fits right in with the STEM movement’s goal of motivating kids to pursue intellectual curiosity, and equipping them for hands-on, innovative problem-solving. Follow STEM Night as it happens at https://twitter.com/bethesda_es. Looking to keep children entertained during holiday travel? Or, do you have a new mobile device and are looking for games the whole family can enjoy? Dig-It! Games is giving away free downloads of our award winning, educational games until the end of 2015! Our games incorporate age-appropriate content in math, science, social studies and language arts into fun, interactive and engaging learning experiences for kids of all ages. 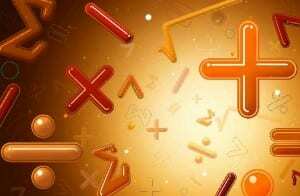 The holidays are a great time for families to expand their vocabulary skills in I Have a Word or go head-to-head testing their math skills against the Maya number system in 3 Digits. Visit the Dig-It Games page in the Apple App Store each day for a new free educational game, and follow us on Twitter to see that day’s give away. Happy holidays from Dig-It! Games! Last week, the Dig-It! 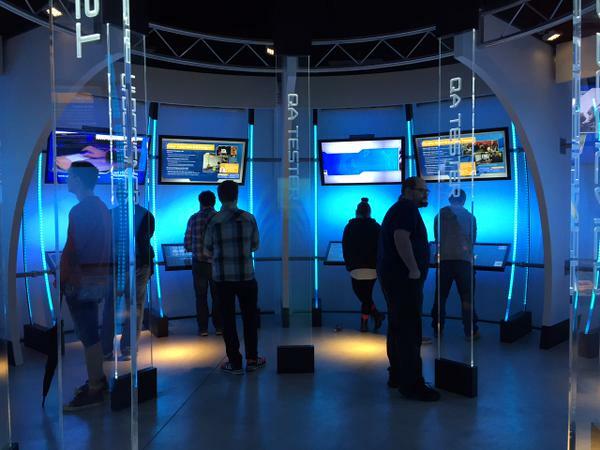 Games team took a field trip to the Baltimore Museum of Industry (BMI), which is showcasing an interactive exhibit that lets visitors create their own video game. Open through 2019, Video Game Wizards–Transforming Science and Art into Games features six stations, each pertaining to a particular skillset (i.e. coding and art) and giving guests the chance to customize a game using those various skills. In other words, visitors experience the collaborative process of video game development at every point in the exhibition. 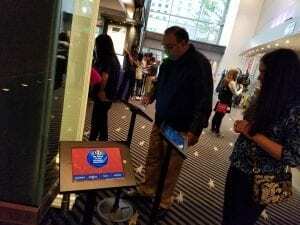 At the end, they are able to play their own game and share it on the exhibition’s website with family and friends; and play any of the games developed at the BMI. But the team wasn’t visiting just to create our own games—Dig-It! 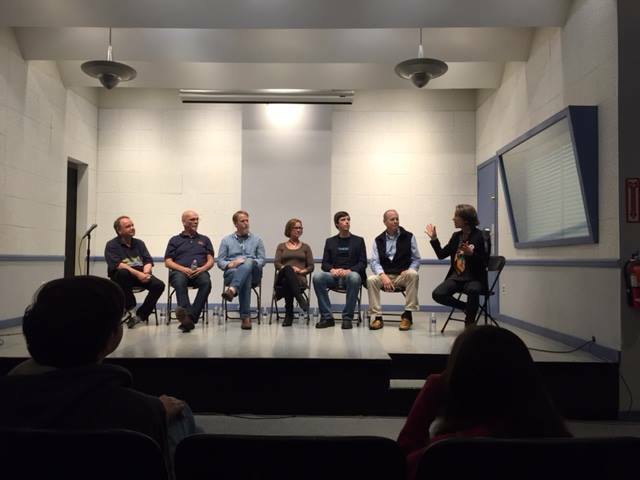 Games had the opportunity to join legendary software developer Sid Meier (Civilization, Railroad Tycoon, Pirates) and other video game professionals for a discussion about the local game development industry. Video games in all forms, even for game-based learning, are creating a booming industry with major growth expected in the coming years. Sometimes our industry feels like it waxes and wanes. Some folks push for game-based learning in the classroom. Others aren’t sure it is worth the effort. From the discussion, it became clear that video games are here to stay—and that the business we are in will continue to grow. There is a host of very smart, talented, creative people in this industry. It goes without saying that we believe the Dig-It! Games team has an incredible amount of talent. At this event, however, it was clear that almost everyone in the video game development industry is passionate about their jobs. They’re not phoning it in—they believe in what they are creating. It’s wonderful to see. Dig-It Games has been and continues to be doing the right thing for students, teachers and game players. We always believe we’re doing the right thing—but in listening to what others are doing within their companies, we have reaffirmed our work. The creative process and the development process is consistent with the industry. The BMI discussion laid it out step by step, a presentation we could have given word for word. We know that how we produce games is truly effective. Students value the collaboration and skills that go into developing a video game. Last year, we had the opportunity to welcome middle school students to the Dig-It! Games studio for our first field trip experience. They had the opportunity to gets hands-on with game design and collaborate to create a final product, a game of their very own. 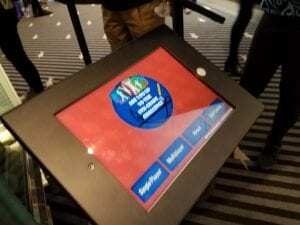 If that sounds familiar, it’s because the exhibit we visited accomplished the same goal through an interactive computer experience. The skills we teach during our field trips and the skills the exhibit teaches are equal. We share the same mission—to show kids how we develop games and interest them in a possible STEAM career—whether that’s programming, art, or even creative writing. Baltimore is a hub for the technology sector—and it’s continuing to grow. When you hear technology or video games, you think about a few different places. New York City, maybe. Silicon Valley. A kid fiddling with his or her computer in the basement. You don’t necessarily think of Baltimore, but you should. This summer, EdWeek reported that Baltimore was seeking to become an edtech hub—and the city is proving its worth. Young people with great talent are coming to the area, looking to get involved in something they are passionate about. One of the biggest takeaways is that everyone in the industry is playing a guessing game. Sid Meier was discussing the development of Civilization, and he said that at the time, his team was just throwing ideas up against the wall and seeing what stuck. We find ourselves doing the same thing in our meetings occasionally. We ask ourselves, “Will kids think this is fun?” We’re brainstorming new game ideas, trying them out, and seeing what works for kids. Behind it all is our educational mission, led by founder Suzi Wilczynski. Our goal is not just for a game to be fun, but also for it to be a learning experience—one where kids might not even realize how much they’ve learned in the moment.